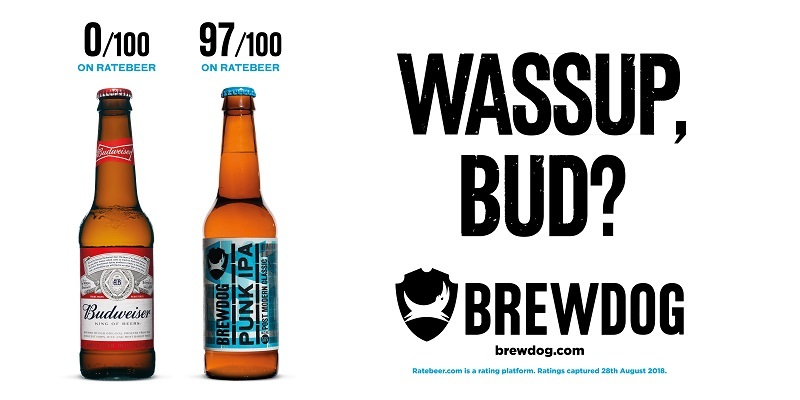 Brewdog is comparing the score received by its flagship brew Punk IPA on beer aficionado site RateBeer with those of various big-selling lagers in this cheeky campaign. While Punk IPA has a close to perfect score of 97, its rivals range from 0 (for Budweiser) to 9 (Stella Artois). The campaign is running across press, outdoor and social.